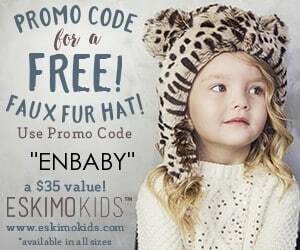 You can get an adorable FREE faux fur hat from Eskimo Kids! This hat retails for $35.00, but you can get it for FREE! Just enter the could ENBABY at check out to get your hat. You must pay shipping and handling fees. There are different hats to choose from, so select the one that best suits you! For a limited time, you can get a FREE fur hat from Eskimo Kids! These adorable hats come in various styles and sizes, so even adults can get one! To get your FREE hat, just enter the promo code ENBABY at check out. You will have to pay for shipping, but your hat will be FREE. This is hat typically retails for $35.